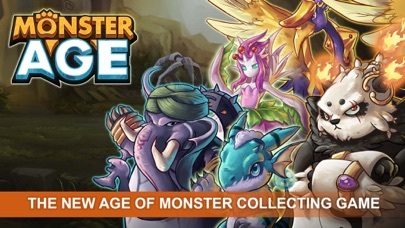 Welcome to Monster Age, the best Monster RPG game ! Collect hundreds of cute and AWESOME monsters as you step inside a world full of adventure, battles, quests, dark quests and PVP! Are you ready to battle? Giant Battles -Play giant battles! 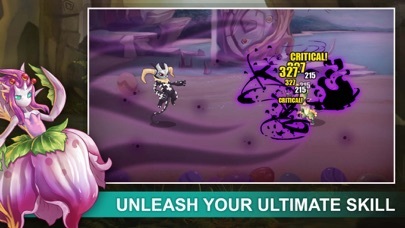 -Combine elements to destroy your opponents! 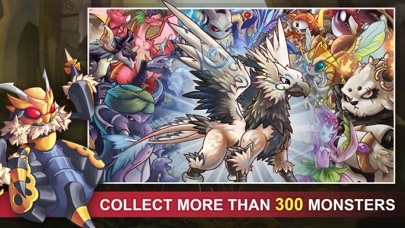 Collect Monsters -Collect and catch over 200+ monsters through adventures, PvP, Raids and Dark Quests! -Collect all 6 elements - Fire, Water, Earth, Thunder, Dark and Light! 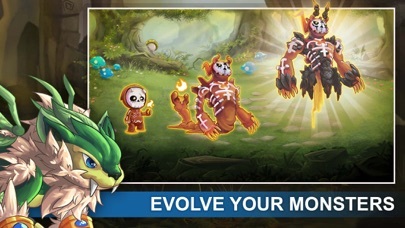 Evolve your Monsters -Evolve and boost your monsters! -Teach and train your monsters to create stronger monsters! -Fuse together monsters to create and unlock a better one! -Over 80+ accessories to enchant your monsters with! -Revive your monsters and unleash their optimum performance! Challenges -Adventure Mode (Normal & Hard): Gain various loot items and monsters! -PvP Mode: Compete with others to earn rewards! -Special Quest: Earn giant rewards each day! -Dark Quest: Challenge yourself in this marathon tournament! -Guild Raid: Cooperate with your guild to earn rare loot items! Join a Guild -Join a Guild and become the best guild master! 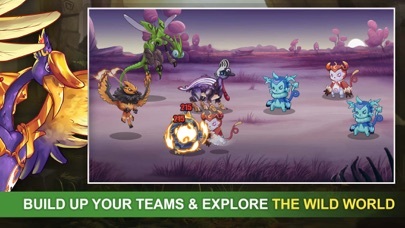 -Compete with other guilds ! -Raise Deity with your guild mates and use it to help you on Special Events! The storyline is so confusing & monster squad was way better there are some bugs with this game I keep having to shut it down and open it back up because it keeps saying “Loading” .. Ok..This game isn’t all that bad but I still have issues with it. I’m very sad that Monster squad isn’t around anymore. Whenever I look up Monster Squad I get this. I decided to play it, just Incase that Monster Squads name was changed or something. As so as I get into the game I can’t log in! I tried logging in over and over. Finally I get logged in. The story line is very VERY confusing I don’t understand it at all. The problem I have most of all with this game is that there is WAY to many buttons. Even if you are not the creators of Monster Squad, you legitimately copped the game. I just don’t understand any of this. In all not that bad of a game. It just needs improvements. Don’t download what you will do is fall I love with the game then it will shut down and never open again don’t download it. The game never loads!! Update this or I will report this app!! Are you guys even reading your reviews? Everyone has the same issue... Signing in loading screen never ends. Just a simple bug you can fix quickly and people can move on. Or did you guys already give up on this game? But my very own issue is, how come I can’t control the individual monster attacks? They could actually have a chance sometimes if they all worked together as a team with real strategy, rather than just attacking whoever and whenever. That’s all. Wow beginning cutscene has just same sentence for everything did they rush this game to get money?